Select Designer Studio > User Interface> HTML5 Application Readiness. As a best practice, do not include hand-coded CSS in the harness. 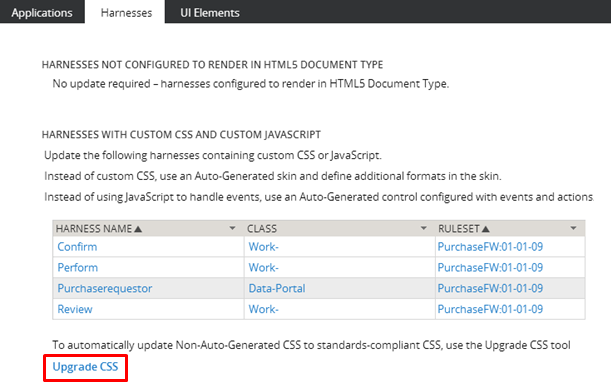 Instead, define multiple formats and custom styles in the application skin and reference them in the harness. This enables reuse and cascading change throughout your skin. It also ensures that your application will render as expected in standards mode. 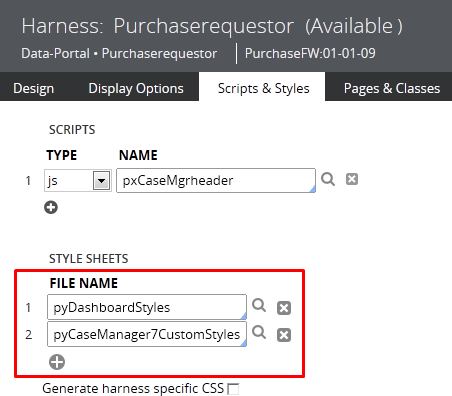 ​In the harness, select the Scripts and Styles tab and then click to open the custom stylesheet. Review the contents of each CSS file to determine which styles can be replaced using one of the methods below. You can create multiple custom formats for grids, tabs, labels, headers, text input, text areas, accordions, modal dialogs, smart layouts, and repeating row/columns. Start by determining what skin the application uses at run time. For instructions, seeAssociating a skin to the user interface. Open the skin rule, select the Components tab, click Change component, and then select Buttons. Click + Add a format. Type the name of the new button format, for example, ​TdRight, and then define a format that correlates to the custom CSS in the harness. Remember to take advantage of mixins when extending your application skin. See Using mixins in the skin to drive consistency and efficiency. Creating a custom format follows a similar procedure for each component. 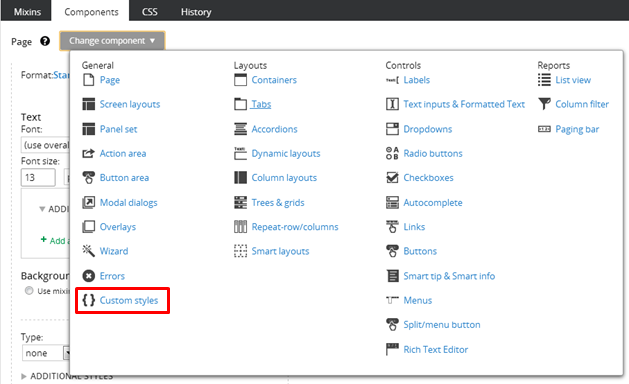 ​See Creating multiple style formats in the skin. In the harness form, update the button to reference the newly created custom format. Open the Cell Properties panel and select a Format value of “Other”. In the prompt that appears, enter the desired custom format; in this example TdRight. Save the updated harness. The newly defined button format is also accessible to other UI containers in your application such as sections. In some cases, you may need to define a custom style, rather than an additional format, in the Skin rule. It is recommended to first view the source of your CSS and search in your application for the specific class names. This will aid in understanding the use cases for a particular style; you can then recreate the style quickly and ensure it is applied correctly. Start by determining what skin the application uses at run time. For instructions, see Associating a skin with the user interface. 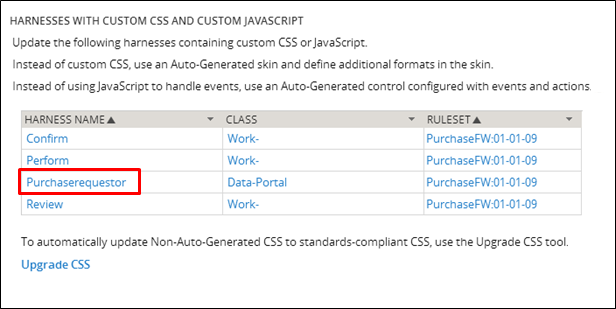 In the skin rule, select the Components tab, click Change component and then select Custom styles. Type a Style Name and define the custom style in the CSS field. Note that custom_ is prepended to the value that you specify in the Style Name field. 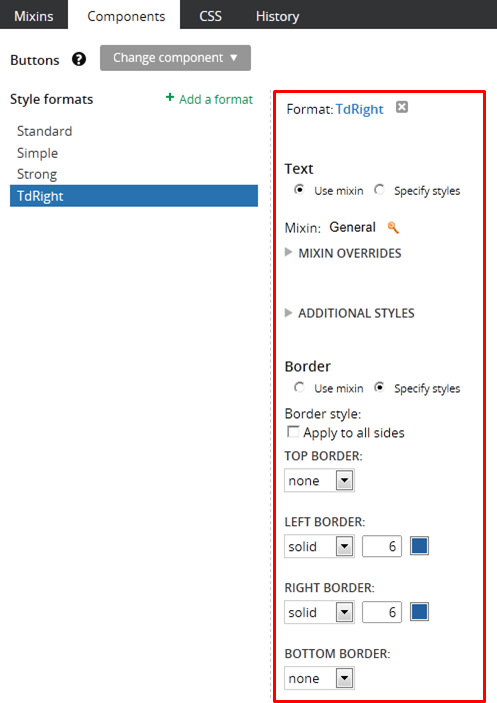 To apply the custom style as the Read-Write or Read-Only format, open the Cell Properties panel of a control. On the Presentation tab, enable the Display advanced presentation options checkbox. Then enter the desired custom style name in the Advanced Options area. See the PRPC Help for details. If your harness contains non-auto-generated CSS, this may be problematic when rendering in standards mode. For example, non-standards compliant HTML, such as “width:50”, may have rendered correctly in quirks mode. This will not render as expected, however, in standards mode. Running the Upgrade CSS tool converts this code from “width:50” to “width:50px”, enabling it to render properly in standards mode. 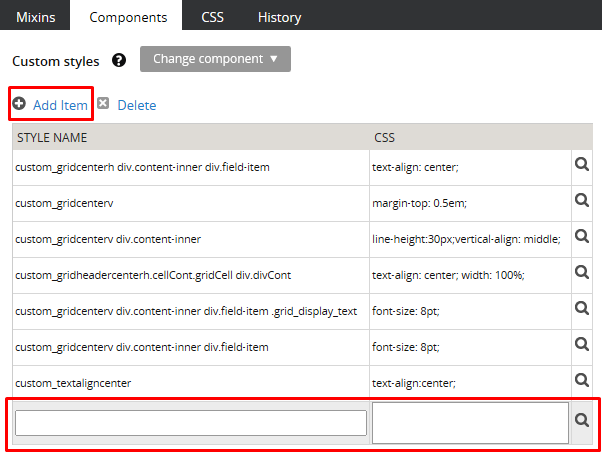 As a best practice, create a new RuleSet version to contain the upgraded the CSS files. Click Upgrade CSS to open the tool. ​​​​Select a RuleSet Namethat contains CSS you want to upgrade. All RuleSets in the current application display. If you want to further scope the list of CSS files to upgrade, enable the RuleSet Version? checkbox and select a specific version. 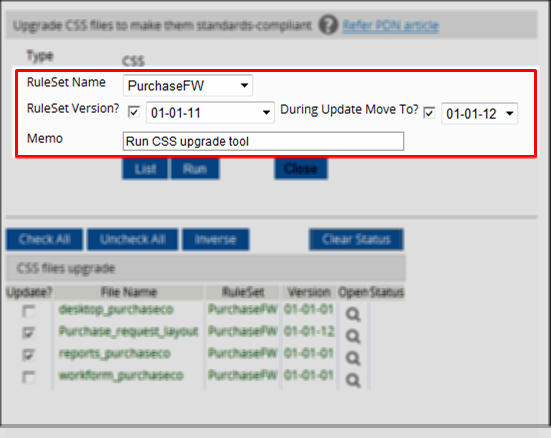 Enable the During Update Move To checkbox if you want the results of the Upgrade CSS tool to be saved as a new version of the rule. Only versions higher than the RuleSet Version specified in the RuleSet Version? display. If a higher RuleSet Version does not exist, an empty box displays. In the Memo field, type a note (this is required). This note displays in the History tab of the updated css rule-file-text. Click List to view the File Name, RuleSet, and Version of files containing non-standards compliant CSS. This list is scoped based on the selections you made in the previous step. Click Check All, Uncheck All or Inverse to make selections wholesale in the Update? column. Alternatively, enable or disable individual checkboxes by hand. 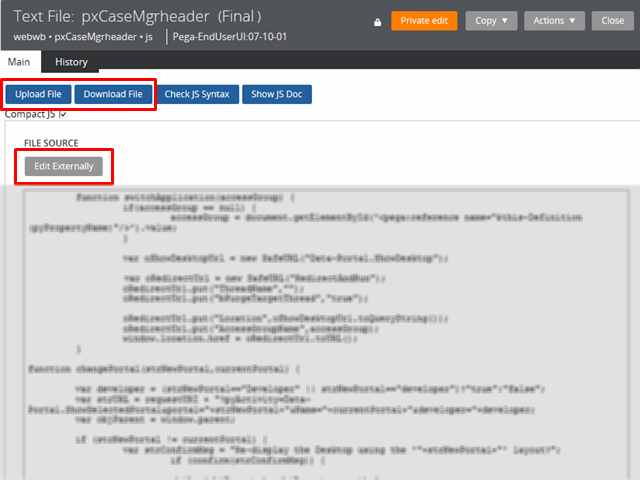 Click Run to automatically update the CSS for each of the selected files. View the Status column to determine upgrade results. A check displays when the CSS is upgraded successfully. An X appears when the CSS cannot be upgraded using the tool; hover over the icon to see a tooltip with error details. 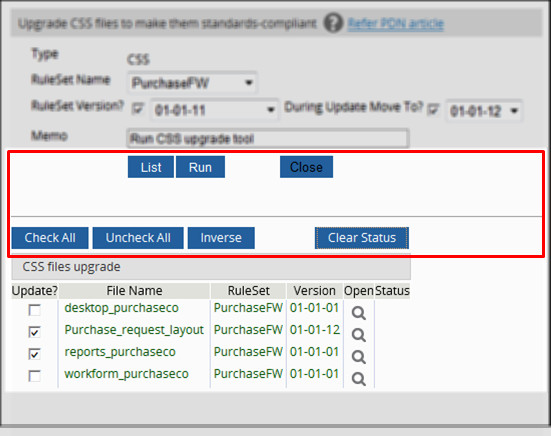 Click Clear Status to reset values in the Status column if you plan to run the Upgrade CSS tool multiple times. Click to open harnesses that were upgraded successfully. Verify the source was updated with a comment from the tool and that your memo was added in the history. When an explicit document type is set on a harness, it overrides the document type defined in the Application rule. In the Harnesses not configured to render in HTML5 Document Type area, click the Harness Name. 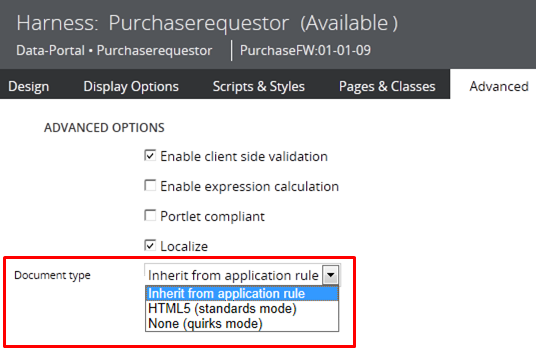 Inherit from application rule: the harness renders using the document type set on the Definition tab of the Application rule. HTML 5 (standards mode): the harness renders in standards mode, regardless of the document type set in the Application rule.